Data analytics is a powerful tool in the fight against fraud, and the Canadian auto insurance industry has a powerful ally in that regard. In an interview with Property Casualty 360°, Chris McKibbin – a partner in the fraud investigation, recovery and enforcement practice group for Blaney McMurtry LLP – said that data analytics can result in efficiency gains across multiple carriers, citing how the Insurance Bureau of Canada (IBC) is working with a non-profit that handles all the analyzing: Canadian National Insurance Crime Services (CANATICS). McKibbin explained that CANATICS is an organization funded by nine-member auto insurers that represent about 75% of the market. The non-profit collects data from its members and uses advanced analytics to detect any suspicious activity. CANATICS then provides any warnings to IBC, which then looks into the suspected fraudulent activity. “The pooling of data from multiple carriers (not sharing, so as not to offend privacy regulations) has benefitted each individual carrier significantly,” McKibbin told the publication. CANATICS’ collaboration with the IBC began in 2016. “As two organizations with an industry-wide view, CANATICS and IBC are uniquely positioned to support the fight against fraudsters who attack multiple insurance companies,” said CANATICS CEO Ben Kosic during the unveiling of the collaboration two years ago. 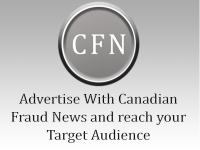 Read the original story Insurance Business Canada.